Whether it's a single source threat or a blended threat that emerges from different sources and uses various protocols, a high performance anti-virus software will start by protecting your organizations network at the gateway level. By thoroughly examining network downloads, email attachments and other system applications, an anti-virus program will be able to prevent a wide range of different threats, like viruses, Trojans, spyware and other harmful security risks, from entering your network. Typically working simultaneously with other important network security features, your organization and all of its important files will be provided optimal protection at all times. With a state-of-the-art anti-virus software in place, because all attacks are blocked at the gateway level, network users will be prevented from downloading unwanted malware and viruses. In addition, an anti-virus software will allow system administrators to perform immediate network updates in order to have a proactive approach when it comes to securing your organizations network. There's no question that this specific type of program could be the main different between continual network protection or being subject to a wide range of potential security threats and attacks. The Nebero anti-virus software performs as the first level of defense at the gateway level when it comes to virus-infected data and files that are being downloaded from the internet as either an email attachment or web content. Without an effective initial line of defense, your network will be susceptible to a wide range of different malware attacks that can jeopardize important organizational data and information. In fact, it is virtually impossible to have an efficient business operation without an effective anti-virus program in place. 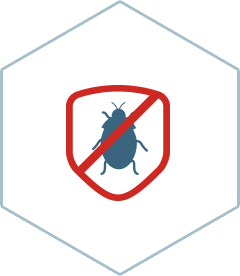 Through our specialized module, an open source anti-virus is routinely utilized and updated frequently throughout the day with the highest level of accuracy for virus detection. The world-class Nebero anti-virus network solution provides optimal protection for email, web applications and Instant Messaging against a wide range of different forms of malware like backdoors, worms, viruses, spyware, key loggers and Trojans. Without question, our top of the line anti-virus protection package will continually prevent a long list of malicious programs and downloads from harming your network. Unlike other software providers, Nebero Systems ensures that your network will always be protected from even the most complex sources of malware. While other anti-virus providers will stop common threats from entering your organizations network, they won't always be able to eliminate the more in-depth, elusive forms of viruses. © 2019 Nebero. All Rights Reserved.